At a glittering ceremony at the Inanda Club in Sandton, integrated agency Stratitude took home a silver award in the food category at the IPSA Gold Pack Awards 2017, for their Beyers Chocolates slabs. The inaugural Gold Pack Awards took place in 1973, today it is the premier event in the South African packaging industry. 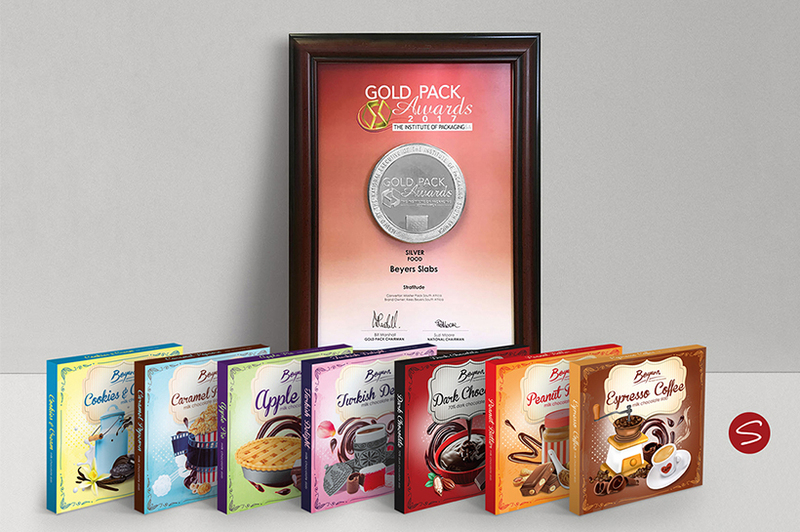 The Gold Pack Awards promote and encourage world-class excellence in packaging design and technology. Your brand tells a story through its packaging, explains Schutte, which is why the agency put a huge amount of research and planning into the new slab designs. 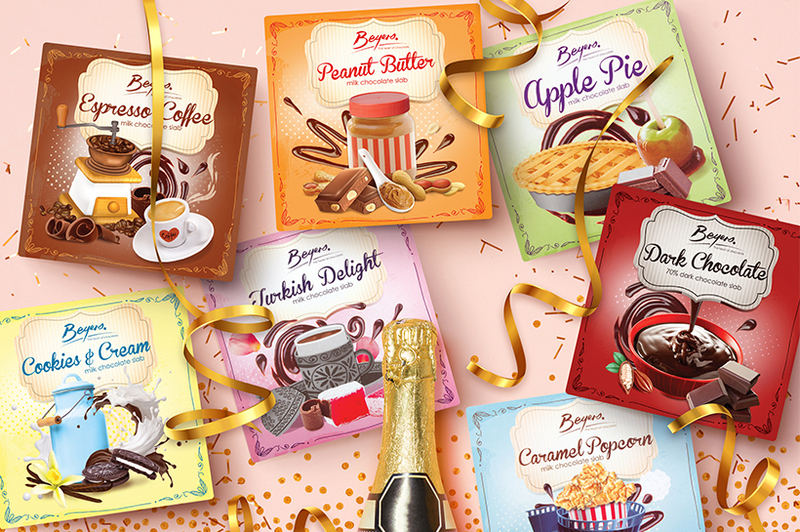 They chose a vintage theme which would appeal to the Beyers’ target market and make the range stand out in chocolate aisles. The slabs have fun flavour combinations like Caramel Popcorn and Turkish Delight, and this inspired the agency to take a more quirky route for the designs, using striking colour combinations and eye-catching illustrations to replicate the flavours found inside. It’s the third time this year that Beyers Chocolates has received industry recognition. Their Chocolatier’s Collection, which was redesigned by Stratitude, took home gold in the Range category and was placed as first runner-up in the New Product of the Year category, at the 2017 Food Review/Symrise New Products competition.